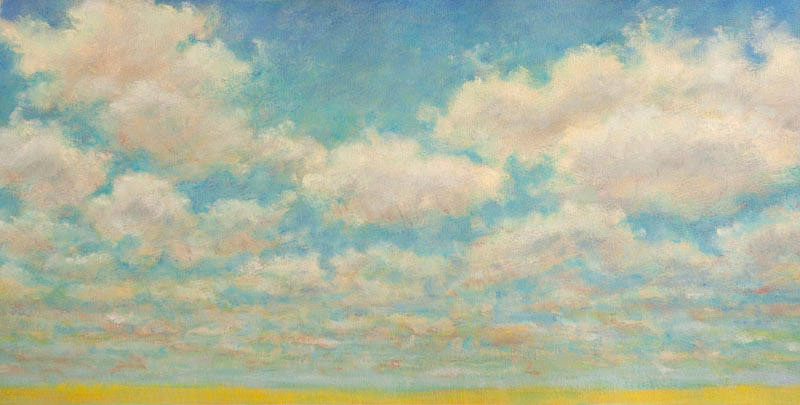 I have been painting clouds and cloud studies on paper since 1994.Â I have always been fascinated with the sky in general and clouds in particular.Â Sky gazing always brings a state of calm and comfort to me, I think because of the spiritual effect it has on me. When I look at the expanse of clouds and sky on a beautiful day I can see the immensity of the world and beyond, and know that I am only a very small part of something much bigger. Betsy DeFusco, a native of Jamestown, New York, received a degree in Art Education from the University of Dayton. In her earlier career as an artist, she worked as an illustrator, completing house portrait commissions, designing and illustrating a calendar of Columbus landmarks, and designing notecards. She also designed and reproduced pen and ink drawings that were then hand colored and marketed widely under the company name Attic Arts. In 1992 she returned to school and completed her MFA in Painting and Drawing from The Ohio State University. Since then she has made painting her focus, working on paper, canvas and wood. Her work has been featured in New American Paintings Magazine and Studio Visit Magazine and has been widely exhibited nationally. Recent solo or two person shows include Keny Galleries in 2008, The Hudson D Walker Gallery at the Fine Arts Work Center in Provincetown, Massachusetts in 2011, and the Dayton Visual Arts Center in 2001. She has been given awards at the Hunter Museum of American Art in Tennessee and the Muse Gallery in Philadelphia, Pennsylvania. In 2007 she received an Ohio Arts Council Individual Excellence Award. Her paintings were presented as the awards at the Ohio Governor’s Awards for the Arts event in 2008. 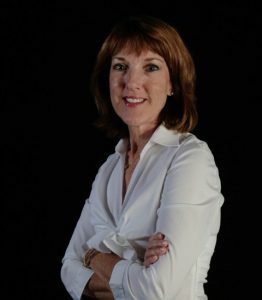 Her work is included in the public collections of Alliance Capital in New York, Huntington National Bank in Cleveland, and Microcom Corporation in Columbus.